Sun Homes | Sun Communities, Inc.
Let Sun Homes exceed your expectations with gorgeous options for every price range, making our 55+ community homes the best choice to kick off this exciting chapter of your life. 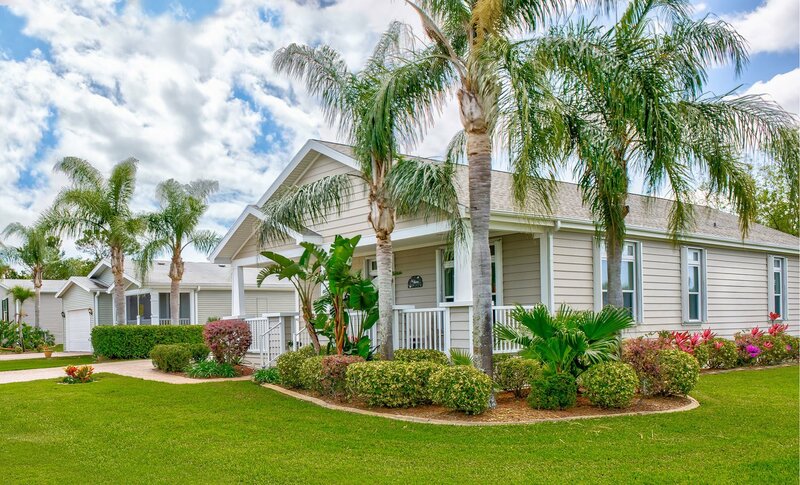 Today’s manufactured homes look and feel like a traditional home with spacious designs and quality construction that can be customized to your style at a fraction of the cost. You’ve worked hard for this moment – let Sun Homes make your vision for retirement a reality. Sun homes are crafted with adult living in mind. Our spacious living areas and open floor plan concepts are ideal for everyday comfort or entertaining family and friends. Sophisticated designs maximize space to include available upgrades like an en-suite bathroom in the master bedroom and tasteful tray ceiling accents in living room and kitchen areas. We only work with manufacturers that combine the highest quality construction and building materials. Homes are built in a controlled factory environment with advanced engineering for more efficient building methods. We have exceptional price points to fit any budget, plus third-party financing and insurance options available for your convenience. With customizable features, you’ll never have to compromise on the little details that make a house a home. Make it your ideal home with inspiring color palettes, tray ceilings and recessed lighting, glass tile backsplashes, and high-end stainless steel appliances. Manufactured homes are the best-kept secret in today’s housing market. Let our residents explain how Sun changed their perception of today’s manufactured home. Ready to learn more about our homes? Fill out the form below and we’ll contact you for a personal consultation. It surprised me when we walked into the homes down here to see a manufactured home with 9-foot flat ceilings. -George K.
I never thought I’d ever live in a manufactured home, and now that I do there’s no difference. You actually feel like you’re in a home. -Wendy H.
It’s not cement built or stick built, but it’s just as sturdy and just as beautiful. -Rosalie P.
The purchase of my home went smoothly, and was a good experience for me. The community is pleasant and welcoming. -Edward L.
Seeing is believing! Get a glimpse into a few of our most popular homes through the virtual tours below. With 100 Active 55+ Communities in 71 Cities, We Have the Perfect Fit for You. Browse our nationwide inventory of homes for sale and max your tax season!